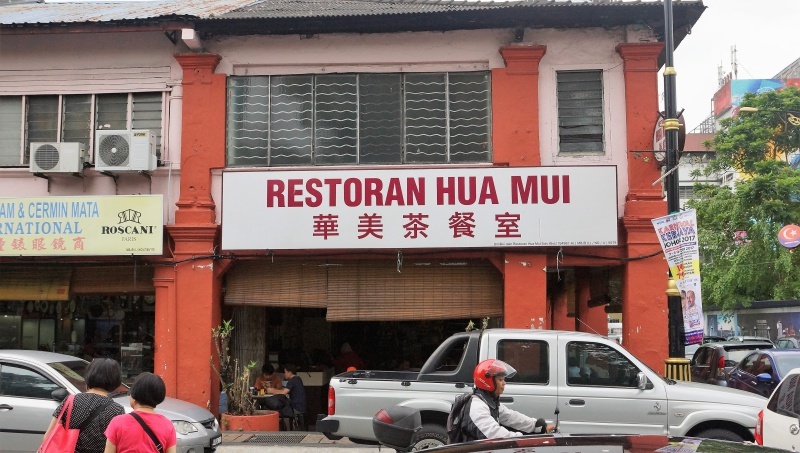 Hua Mui Coffee Shop is a two-story shophouse located about 10 minutes’ walk from the JB City Square, which is non-air conditioned environment and can be a little squeezy during peak hours. The menu has extensive items serving Chinese and Western halal food. 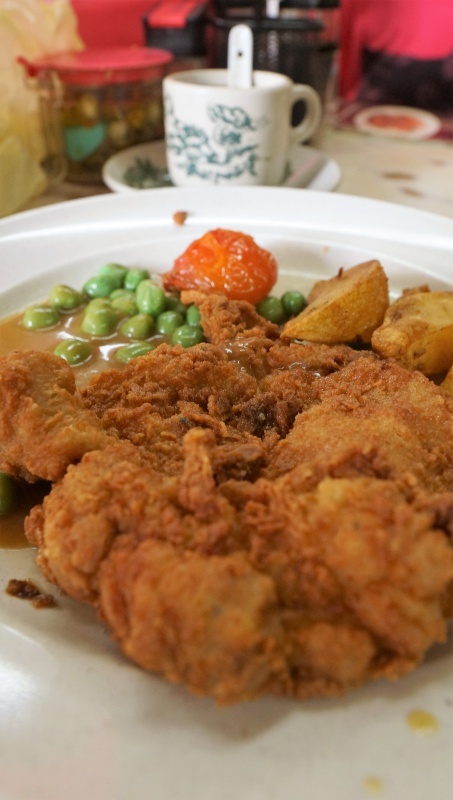 However, it is their famous signature Hainanese fried chicken chop that lured us to this place. 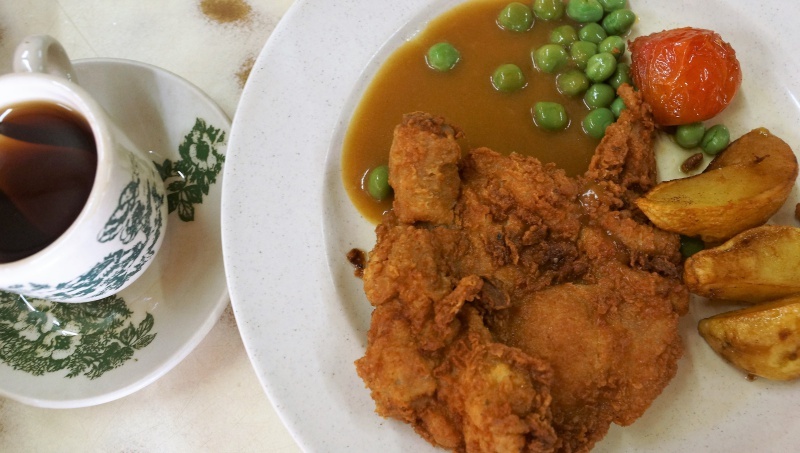 Hua Mui Hainanese chicken chop is made from a whole chicken thigh. It was flattened and deep-fried with a special coating, served with green peas, tomatoes, potatoes with light brown house special mushroom sauce. The delicate battered coating was thin, crispy and amazingly fragrant, tantalizing to the taste buds and the inside was equally good with its juicy and tender meat. However, the accompanying sauce was light and nothing to shout about. Unfortunately we already had too much good food prior to the visit of Hua Mui and were not be able to try other items on the menu. 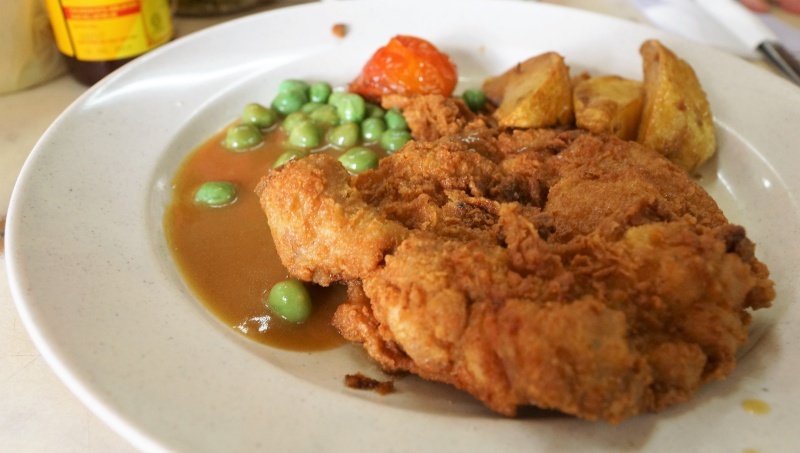 Restoran Hua Mui Hainanese chicken chop lives up to be one of the best chicken chop in JB. It is just a short walking distance from the JB City Square and worth popping by and giving it a try.